Round-the-clock monitoring of the stability of open-pit mine walls is becoming the norm, especially as pit depths increase. E&MJ takes a look at some of the systems that offer insight into potential rock-mass hazards. In case anyone might have thought otherwise, the fact that the last time E&MJ provided an in-depth review of pit-wall monitoring systems appeared shortly after the massive wall failure at Bingham Canyon was pure coincidence. 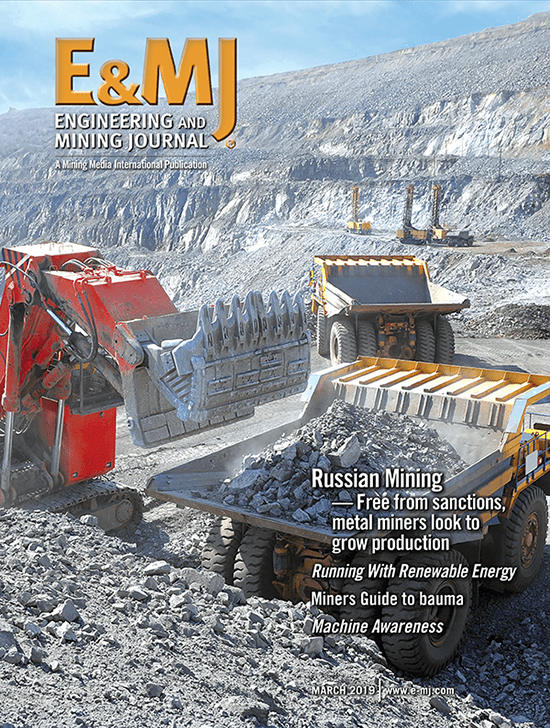 The coverage of the April 10 event in the May 2013 edition, including a news report and in the article itself, highlighted the precautions that Kennecott Utah Copper had taken to monitor the area of concern. As a result, the company was prepared for the slide, most of the major equipment was withdrawn and nobody got hurt. Had appropriate monitoring systems not been in place, the consequences would have been unimaginable. Fortunately, wall failures of that magnitude are rare, although smaller events emanating from rock-mass movements on localized discontinuities occur on a fairly regular basis. Hence the need for the increasingly sophisticated monitoring systems that use optical, radar and microseismic scanning techniques to check whether wall and bench stability is in any way being compromised over time. NASA photo of the Çöllolar lignite mine wall failures, which took place in 2011. The major failure on the northeast side of the pit was the second within a week; the failure zone extended some 350 m beyond the existing pit perimeter. Kislaköy, on the right side of the image, reportedly suffered a pit-wall failure in 2006. A quick internet trawl illustrates just how often surface mines are affected by wall failures, although most are by no means as severe as the Bingham Canyon event. In March, Glencore subsidiary Katanga Mining reported a wall collapse at its KOV open pit in the Democratic Republic of Congo (DRC). 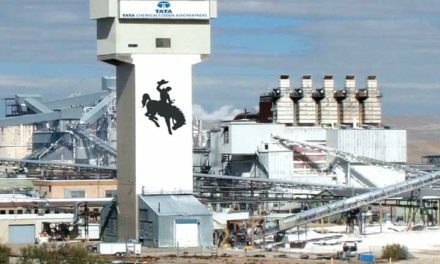 While ore production was suspended there for economic reasons last September, the company was maintaining its pit dewatering program; the wall failure left seven people dead and damaged the dewatering infrastructure. Another recent example occurred at the Ok Tedi copper mine in Papua New Guinea. In June 2015, a wall failure resulted in a large amount of debris sliding down into the pit bottom. Ok Tedi Mining Ltd. CEO Peter Graham later told news media in Australia that fallen rock had damaged a hydraulic excavator and restricted access to some higher-grade ore.
And this was not the first time that Ok Tedi had experienced wall instability. 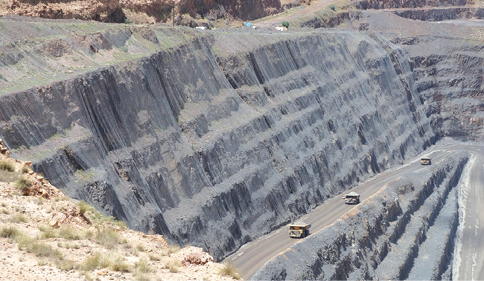 As an article posted in June 2015 in the AusIMM Bulletin by Robert Parker and co-authors explained, the high rainfall environment in which the mine is located has led to the formation of major erosion-related chasms from earlier minor rock-slope failures. Measuring up to 240 m high and 220 m wide, controlling the growth of these chasms has required significant engineering input. As the authors noted, “The remedial efforts included sophisticated ground control monitoring, establishment of new access ramps down the slope face, construction of new drains for the diversion of surface water runoff away from the chasm footprint, ground stabilization, and chasm crest, toe and slope face dewatering. “All of this remedial activity had to be accommodated within the daily framework of other pit mining activity and completed in often extremely poor weather conditions,” they added. The challenge continued: a localized wall failure at the mine in March cost the life of one employee. Neither is it the case that metal mines are especially susceptible to wall failures. Surface coal mines offer their own roster of highwall incidents, often associated with the interaction of discontinuities in what are essentially weaker waste rock beds, together with in-situ groundwater pressure. 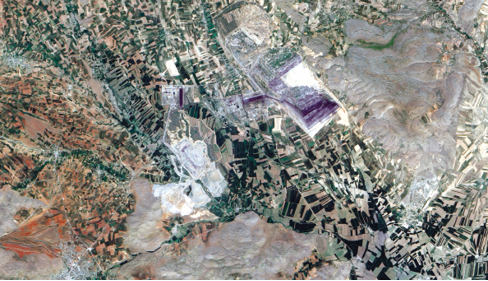 Even NASA has recorded the results for its Earth Observatory website, with an image of the 2011 collapses at the Çöllolar lignite mine in central Turkey. Occurring just four days apart, wall failures on opposite sides of the pit reportedly flooded some 50 million metic tons (mt) of material across the workings, costing 11 lives in all. Renishaw’s QuarryMan Pro system is highly portable, and can be set to operate both automatically and manually to scan pit wall faces. Exhibited at this year’s Hillhead quarrying open-air exhibition in the U.K., Renishaw’s Quarryman Pro system can be used in a variety of ways in both quarries and open-pit operations—including regular profiling of pit walls to check for displacement. According to the company, Quarryman Pro is a 3-D long-range laser-scanning system that can easily be operated by one person. Little training is needed to use it and the associated, intuitive software. Tripod-mounted, it is light, portable, and can quickly be moved around. Operators can choose between a manual point-and-shoot mode, and an automatic laser-scanning mode that covers 250 points per second. Entire rock faces can be scanned in minutes, Renishaw stated, with Quarryman Pro measuring and recording millions of data points directly to a USB drive. In consequence, the system does not require external PDAs or computers in the field. The collected data can then be processed to create detailed 3-D models for editing, analysis, and export to specialist packages or other CAD software. Data can also be integrated with LiDAR data collected from mobile mapping systems. Two versions are available, with the short-range system capable of measuring distances up to 750 m. The long-range version increases this to 1,200 m, and includes optics that are designed and optimized to provide improved results against coal and other dark materials. Renishaw has also upgraded the software package for use with its Quarryman Pro laser scanners. QuarrymanViewer has a new, intuitive feel that makes workflow quicker for operators, with new visuals that provide clearer viewing and quicker data interpretation. It also offers automated point coding, traverse processing and surfacing of single scans, while user preference options mean that the system stores most commonly completed functions, making it quicker to repeat them for future projects. The Musonoie-T17 pit at Katanga Mining’s operations in the DRC. The company’s main KOV pit suffered a wall failure earlier this year. Although not strictly involved in slope monitoring, Presto Geosystems offers solutions that can help in stabilizing pit and embankment walls in the event that localized failures may occur. The company’s Geoweb geocell system allows slopes to be designed steeper than when infill is unconfined, as well as supporting sustainable vegetation that provides greater protection against erosion—and thus slope failure. In addition, Presto pointed out, stable embankments create safer work areas in open-pit mines, potentially increasing the mineable area. Reclaiming and protecting embankments can present challenges that include stabilizing steep slopes, sourcing fill, and working with difficult site access and terrain. The Geoweb system consists of 3-D confinement material that stabilizes embankments and prevents erosion on steep slopes. It is a flexible solution that can utilize many infill types, including topsoil/vegetation, aggregate and concrete for hard-armor protection. When used in mining applications, the system can accommodate on-site waste rock for fill. The company’s chief design engineer, Bryan Wedin, told E&MJ about a recent project it had undertaken at Goro Nickel in New Caledonia. Wedin explained that significant cut-and-fill work is required to protect the civil infrastructure from erosion, limit maintenance and to keep the mobility of mine materials fully operational. While large riprap, concrete and soil cement had been used in the past for erosion control, Geoweb offered the advantages of lower costs, little or no maintenance, and the use of local labor and materials, while having a design life of more than 50 years. Just weeks after project completion, a tropical cyclone hit New Caledonia with 600 mm (24 in.) of rain in 24 hours. One day later, a magnitude 7 earthquake hit nearby, and while these two events tested the geosynthetic-reinforced embankment to the extreme, even the steepest slopes showed little or no erosion or sliding, Wedin said. Geocells are honeycomb-like structures, manufactured from high-density polyethylene, that confine and stabilize infill materials. Several cell sizes and depths are available to meet project and application requirements, Presto noted, the company having been marketing Geoweb since the early 1980s. 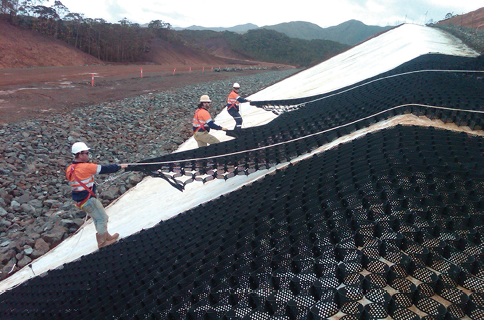 Installing Presto Geosystems’ Geoweb cellular slope reinforcement at Vale’s Goro nickel mine in New Caledonia. According to Pienaar, with optimized on-board signal processing and high-speed wireless communication capabilities, the MSR delivers geotechnical data and alarming functionality in real time. This translates to a comprehensive understanding of slope stability performance in an environment where dynamic decision-making ensures improved safety and increased productivity, he told E&MJ. Reutech believes that because an initial pit design contains a variety of unknowns, the back analysis of past failures becomes imperative. With the MSR’s advanced data-handling and storage capabilities, 3-D geo-referenced movement and surveying data can be exported to a variety of third-party mine planning software packages. This means the slope design can be constantly optimized as new knowledge of the underlying mechanics at play is unearthed. An integrated slope-monitoring program improves safety and increases productivity, the company claims. With the MSR, radar data along with 3-D vector data from automatic total stations and extensometers are displayed on the same interface—in real time, so users can rapidly identify changing slope conditions and make better-informed decisions. Pienaar explained that since it can uniquely resolve multiple points within a single beam, the MSR delivers a high-quality self-generated point cloud without relying on additional third-party mechanisms. That means that the MSR can be used for permanent stability monitoring as well as the ad hoc monitoring or surveying of other areas such as waste dumps or tailings dams. The result is a product that offers unrivaled flexibility and functionality within any mining operation, he said. Built by a company with its roots in the military defense industry, the MSR Standard series can operate to temperatures as low as -50°C without requiring external heating blankets or enclosures. 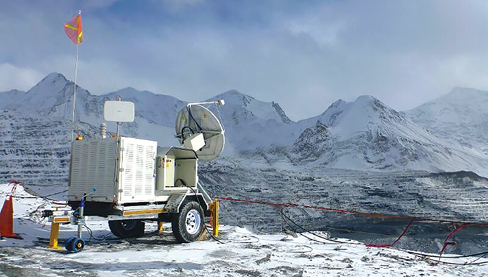 Hexagon Mining told E&MJ it connects planning, operations, geodetic slope monitoring, surveying, UAV and radar-based monitoring systems to provide a holistic view of a mine. Highly flexible automatic deformation monitoring is available via Leica GeoMoS, which monitors prisms with an automated TM50 total station, slopes, and structures with the MS60 combined laser scanner and total station, and standalone GNSS sensors to enable slope monitoring. Automated motorized total stations and GNSS technology are pivotal to risk management in mining high walls, tailings dams and other critical structures. GeoMoS can also combine any geotechnical, meteorological, hydrological or other sensors into its analysis and dashboard platform, correlating all pertinent data into one location. Complementing GeoMoS are the IBIS radar systems from IDS GeoRadar (see below), which Hexagon Geosystems acquired from its parent company earlier this year. Hexagon’s Aibot multicopter UAV is just one facet of the company’s range of slope stability monitoring systems. Hexagon said its UAV offerings—the Aibot X6 multicopter, Leica Delta FW70 fixed wing and Swiss Drones’ Dragon 50 helicopter—add a new perspective to pit slope analysis and monitoring. Scaling highwalls and traversing pits with ease, these allow mines to visualize and survey previously inaccessible areas safely and quickly, removing blind spots that fixed location scans cannot achieve. Bringing these data into the 3DReshaper software allows rapid processing, filtering and analysis of the point clouds for terrain change detection and design versus as-built inspection. 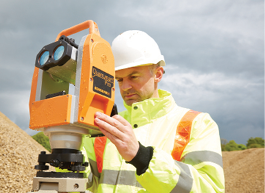 Hexagon Mining’s partnership with Austrian company Riegl brings its customers access to leading-edge laser scanning technology for long-range surveying and monitoring applications. The Riegl VZ-4000, for instance, is a terrestrial long-range scanner boasting a range of up to 4 km. It is very compact, fully portable, and delivers highly accurate 3-D data rapidly and efficiently, the company said. Combined with RiMonitor software, the Riegl system delivers automated periodic scanning, change detection analysis and user-defined alerts. Point cloud data from UAVs and laser scanners can now be loaded and viewed in Hexagon Mining’s MineSight planning suite. Development is under way to bring GeoMoS 3D movement vectors and IBIS GeoRadar displacement maps into MineSight 3D as live objects so that engineers can assess the stability of pit walls when creating mine plans. The IBIS-Rover from IDS GeoRadar offers mobile radar monitoring. IDS GeoRadar stated that its radars provide a complete solution for mine slope monitoring with the IBIS-FM providing a range of up to 4.5 km, and IBIS-Rover (a short-range [2 km], broad area coverage system with digital terrain model-creation capabilities) used when frequent relocation is required. 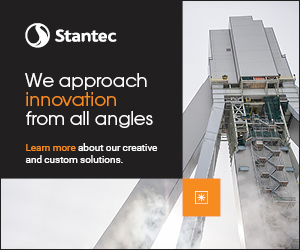 The company also claims that it is the only radar supplier providing complete integration; with the advanced FPM360 platform, the user is provided with a real-time universal view of the pit by stitching together multiple IBIS radar datasets in a single view. With the recent introduction of IBIS Guardian TrueVector, IDS GeoRadar said it has set a new standard, by enabling the integration of multiple IBIS radar units to resolve the spatial displacement vector over the monitored area with submillimetric accuracy. No prisms or markers are needed on the slope. The system also offers fully automated integration with TPS and GNSS datasets (Leica GeoMoS and Trimble T4D), allowing users to plot in real-time displacement trends from geodetic monitoring systems against the radar data. Stereonet charts are also available in support of geotechnical analysis. 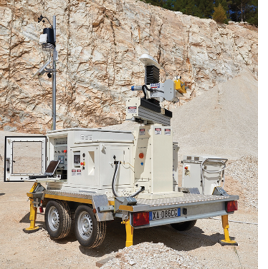 As an example of an IDS GeoRadar system in operation, the company told E&MJ that, since February, a gold mine in Turkey has been using an IBIS-Rover to cover a number of critical pit-wall areas. The radar unit can cover 180° with a two-minute scan time and sub-bench resolution at a distance of up to 1,100 m.
The operation has complex geometry with two small adjacent pits connected by a pushback. The IBIS-Rover covers the main areas of geotechnical concern: immediately after deployment, the radar picked up two previously identified major moving areas, with the high detail definition provided by the radar map providing good delineation of their extension. 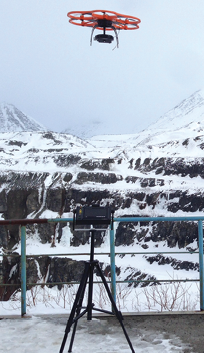 An enhanced algorithm for automatic atmospheric removal provides extremely high data quality, IDS GeoRadar stated, with the entire dataset being unaffected by massive accumulations of snow in the pit. Available since 2003 from the U.S. geotechnical consulting firm, Call & Nicholas (C&N), the SlideMinder slope monitoring and warning system is marketed as a user-friendly method of gathering highly accurate slope monitoring data for engineering and safety purposes. The remote system uses reliable wireline extensometer technology and software to create a graphical data presentation, calculate velocity, and issue warnings based on user-defined parameters. C&N’s operations manager, Joe Foster, said a SlideMinder system uses at least one deployed wireline extensometer (a SlideMinder), which reports measured displacement back to a base station server via radio or the local Wi-Fi network. Each extensometer is deployed to an area of concern. The wireline is then run out and anchored to the moving ground or slope. As the slide propagates, the displacement is measured by a highly sensitive encoder in the SlideMinder, then relayed to the server for data analysis and collection. SlideMinders are designed to require minimal maintenance once deployed. Each unit is self-powered using a 10-watt solar panel and storage battery, and is equipped with a warning strobe and a rain gauge. According to Foster, C&N has customers that, due to inclement weather and distance, cannot easily access their units for months at a time but the SlideMinders report their data consistently. The other side of the system is the OREAD (Observation, Recording, Evaluation and Administrative Database) server software, where collected data are stored and observed. Here the user can graph displacement, velocity, inverse velocity, precipitation and temperature data for each deployed unit. OREAD will also send out emails and texts, activate warning devices based on alarms determined by the local engineers and geologists, and can be accessed remotely. The company now has SlideMinder units working in the USA, Canada, Mexico, Peru, Chile, Papua New Guinea, Indonesia, Australia, the DRC and Argentina, with distributors covering Australasia, South Africa (Reutech) and Latin America. Mesh installed on pit walls can lead to erroneous readings from some monitoring systems—a problem 3D Laser Mapping claims to have overcome with its 4DSiteMonitor. SiteMonitor4D from 3D Laser Mapping, the geospatial technology supplier, is an automatic, remote laser-based measurement system that permits hazardous or inaccessible areas to be safely monitored. This is achieved through a high-accuracy, automated, long-range monitoring system that has the flexibility and performance to function in a wide range of applications, the company said. series laser measurements that are used to generate highly detailed 3-D displacement maps of the surface under investigation. The data displayed can be used to indicate imminent failure and other custom set alarm criteria. In addition, the data can be used not only to identify and monitor any acceleration in movements that often occur as a precursor to large scale failures, but to understand the failure mechanics and determine effective future mitigation techniques. Data analysis permits displacements to be tracked through time, and results to be correlated with external data sets. It is also possible to carry out geotechnical analyses to understand displacement styles, while alarm settings can be included to mitigate against failure in real time. As the company pointed out, the use of wire mesh or safety netting can often limit the ability to capture detailed measurements of a rock surface, resulting in poor or inaccurate information regarding the movement of the slope. When steeply sloping rock faces fragment and release rock debris, close fitting wire mesh and netting is often anchored to the slope face. Vegetation can take root and cause an obstruction to systems trying to measure movement on the slope face itself. SiteMonitor4D can work around these obstructions by using a unique function to record multiple targets for each measurement. This enables measurements of the wire mesh (first target) and the slope (last target) to be returned, with the system automatically applying filtering so that only data from the slope face are analysed. “SiteMonitor4D can resolve rock fall accumulation and debris movement behind the mesh, which can often indicate slope instabilities, even on slopes with more than 60% of their surface covered in mesh,” said Dr. Sarah Owen, LiDAR systems engineer at 3D Laser Mapping.